Maintainance and enhancements to large legacy codebase, running on over 30 webservers and serving over 5M page impressions per month. Maintainance of realtime pricing systems, handling millions of messages a day from exchanges across the world. Managing 10 developers(at peak), giving regular reviews and introducing some Agile methodology. Client Liason – regular meetings with clients such as Barclays and Santander to discuss ongoing requirements and enhancements to our platform. Incident management and reporting – giving clear, concise and regular updates and reports to our clients when systems were having issues. Code quality and release management – making sure that all code released has been tested sufficiently and that releases are done in a way that will not affect clients. This included personally diffing the code before releases. Providing end-of-line support – getting my hands ‘dirty’ where necessary and suggesting ways in which to solve the more difficult problems we came up against. Systems design and architecture – ensuring any new solution will not break existing architecture and is efficient. When our data centres moved, ensuring that we would have sufficient hardware to re-implement our existing service. 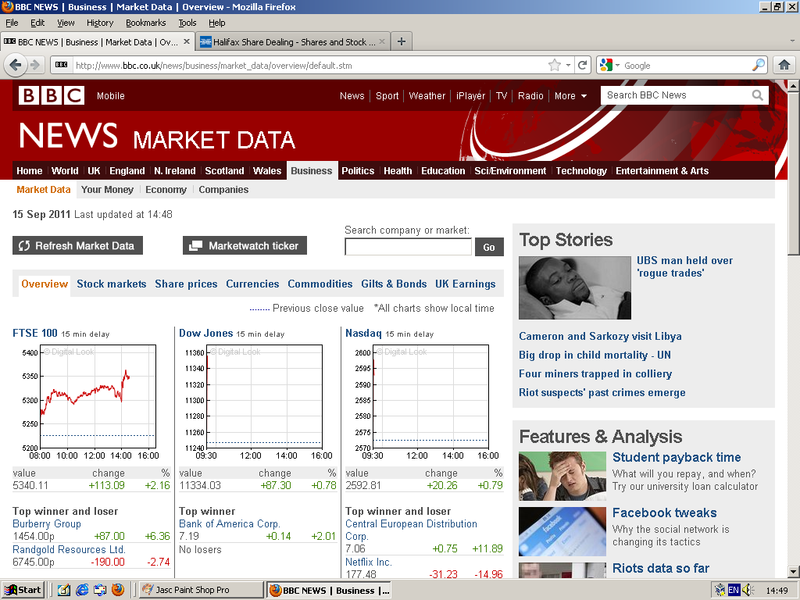 Charting provided using Varnish caching technology, XML feeds provided for the rest of the data on these pages(BBC Market data). 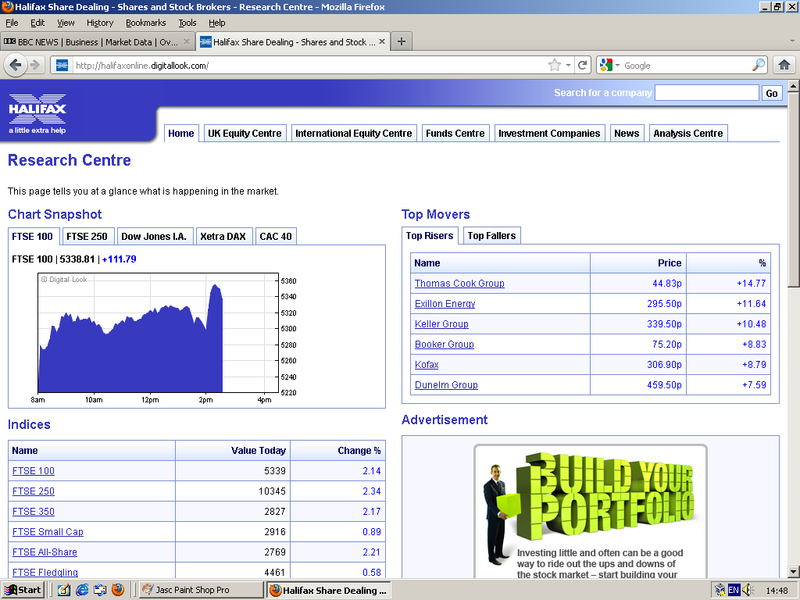 Complete drop-in portal for market data provided to Halifax. 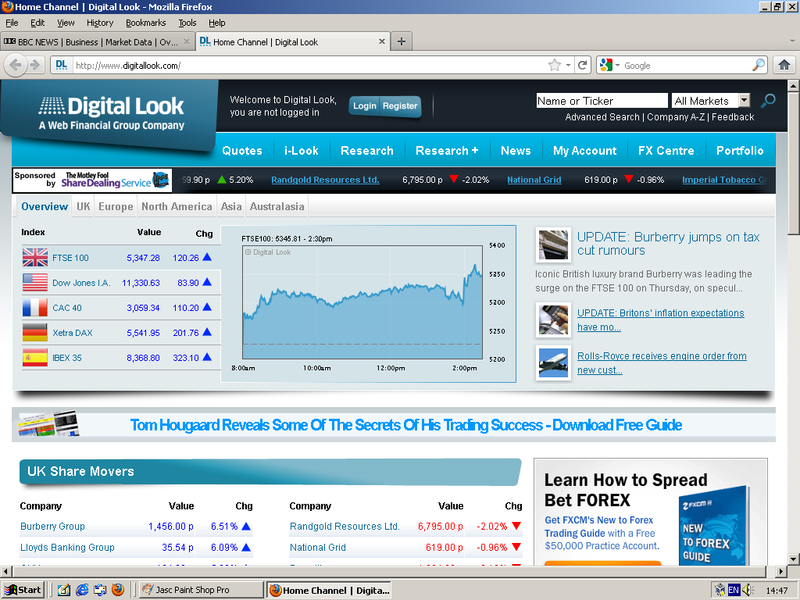 Website for private investors with a vast array of analytical tools(Digitallook.com).